A slow website with moving characters all over the landing pages and a website which is fast, reliable, and loads quickly. What if I ask you to choose one out of both? Your answer would be quiet obvious that who has so much spare time to wait for a website to load? Isn't it? So, let me tell you right here that yes, STATIC WEBSITES are back! What is the need for static websites? Gone is the time where people preferred more attractive websites, rather the industry is back to static websites. The industry makers have realized that having moving characters all over the website pages is not at all necessary. No doubt, a little animation is a must to maintain customers interest, but a straightforward website which conveys the right thing at right time is the most important aspect. 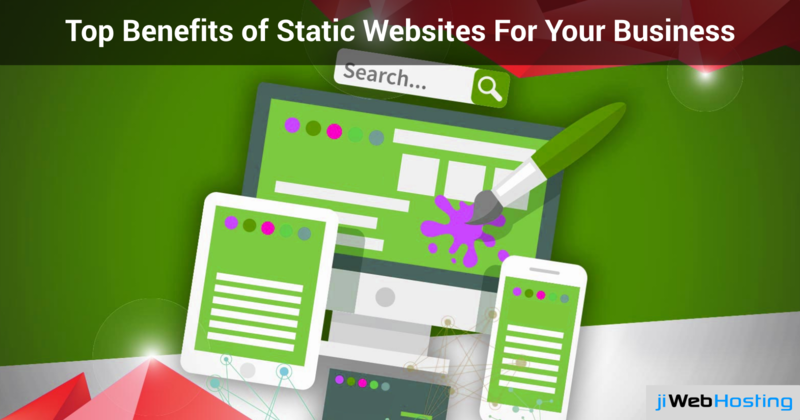 Want to know more about why static websites are back in the industry? Have a look below. Security: As static websites involve no database, no intermediary, there are no chances of code injection, thereby lowering the risk of data threats and other data attacks from hackers. As the static websites are easy to keep updated, this reduces the chance of any security breaches. Reliability: In dynamic websites, we usually get an error of connections can't be established. This error occurs due to errors in the database. On the other hand, in static websites, there is no possibility of these errors and it thus offers more reliability. Speed: It's simple, more and more you put in a website, difficult and slow will it load. Simpler the website, quicker will it load. Isn't it? As customers won't wait for your website to load, it becomes essential that your website loads quickly and displays the required pages. Hosting and price: Unlike dynamic, static websites comprise of basic HTML files and need comparatively less space and is cheaper as compared to dynamic websites. So, if you go for a static website, you can save a huge capital and spend it somewhere else. Scalability: Once your website is up and running live, you will simply require a system to handle a massive traffic in case of dynamic websites. As the static websites are just made with the HTML files, it can be easily scaled up by simply increasing the bandwidth. Endless opportunities: Building a static website will not at all limit you while delivering your customers a unique experience. Rather certain static site development tools allow you to create engaging and interesting websites which customers like. Choosing the perfect website vendor for your business! Once you have gone through the benefits static websites offer you, get your business requirements clear and get a rough idea. Once clear with, then take a decision of stepping out in the market to look for a vendor for your website. If looking for a trustworthy and budget-friendly hosting provider, you can rely on jiWebHosting. jiWebHosting lets you get your website hosted in the most suitable manner. Try our affordable hosting plans or get in touch with us at any time!